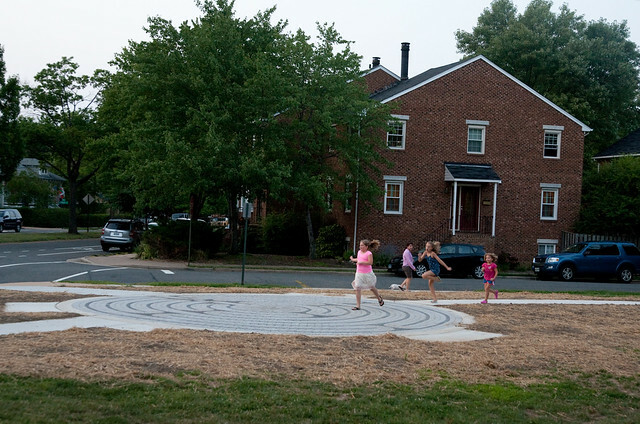 We have a new feature, a labyrinth, at the Del Ray pocket park at the corner of Commonwealth and Del Ray Avenue. 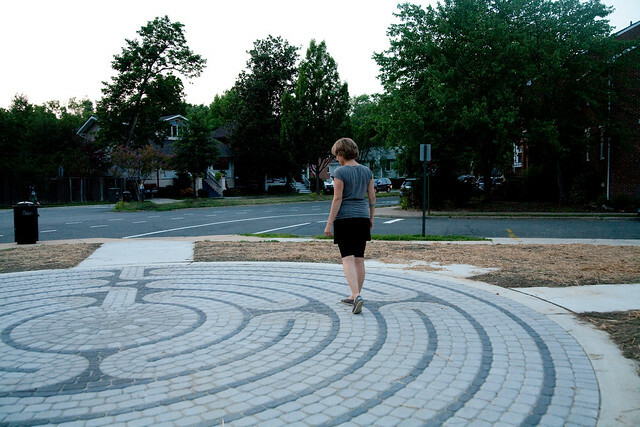 The labyrinth is designed to be is a single path leading to the center for meditative walking. Although the term maze and labyrinth are sometimes used synonymously, I’ve read that they are two separate things. 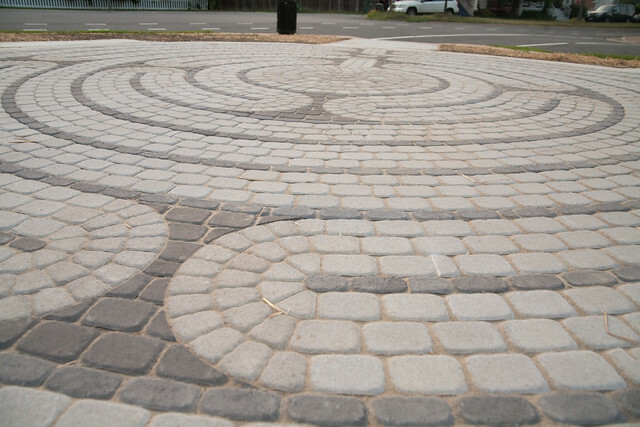 A labyrinth has a single path and a maze is more complex, with more pathways and branches. 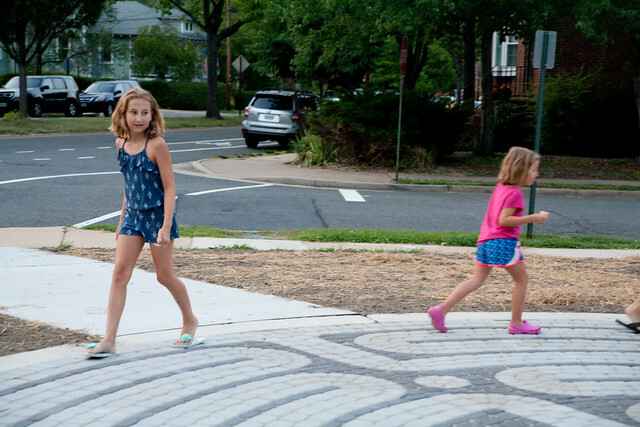 The new labyrinth is not only lovely to look at, but is also a nice activity for both kids and adults. 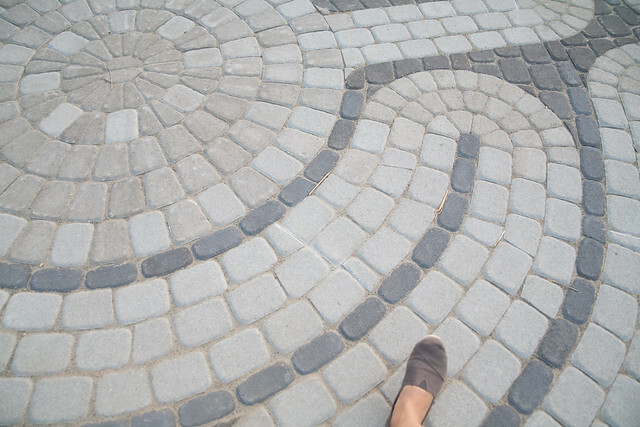 When I tried it, I noticed too that it’s impossible to walk quickly. It does make you slow down and it would also feel wrong to abandon the maze in the middle. The entire walk takes about 5 minutes. 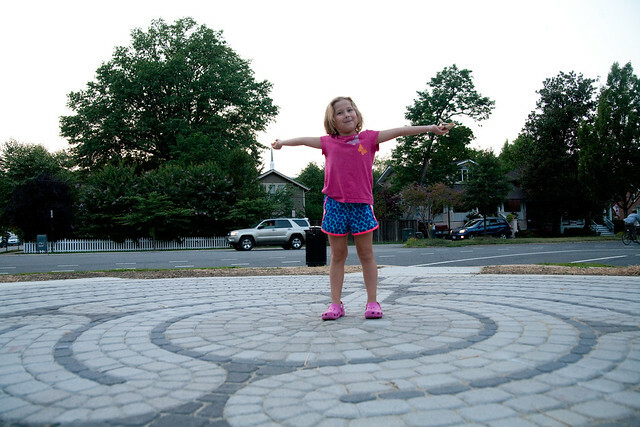 Naturally, kids try to do the labyrinth as quickly as possible, nearly careening out of control around the corners. They’re also triumphant when reaching the center. 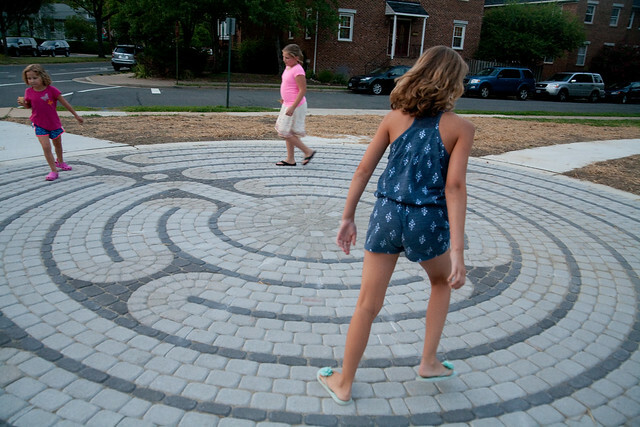 The labyrinth is part of the Phase 2 plans for the Del Ray Pocket park, which will continue with new tree plantings this month, as shown on the overall site plan. A space for our neighborhood that just keeps getting better and better. Thank you for your blog. You keep me informed about things I really want to know about!